Most conversations about gender and work focus on the inequality that women face. A common story told about masculine and feminine gender roles is that working is a ‘privilege’ and childcare is a ‘burden’. The logic of this view is that men enjoy the privilege of earning while women suffer the burden of parenting. 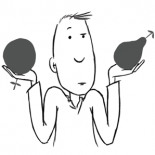 In reality, both roles have costs and benefits. 96% of people who die at work are men as are the majority of the 20,000 people who die from worked-related causes each year. Men are four times more likely to die of occupational cancers for example. 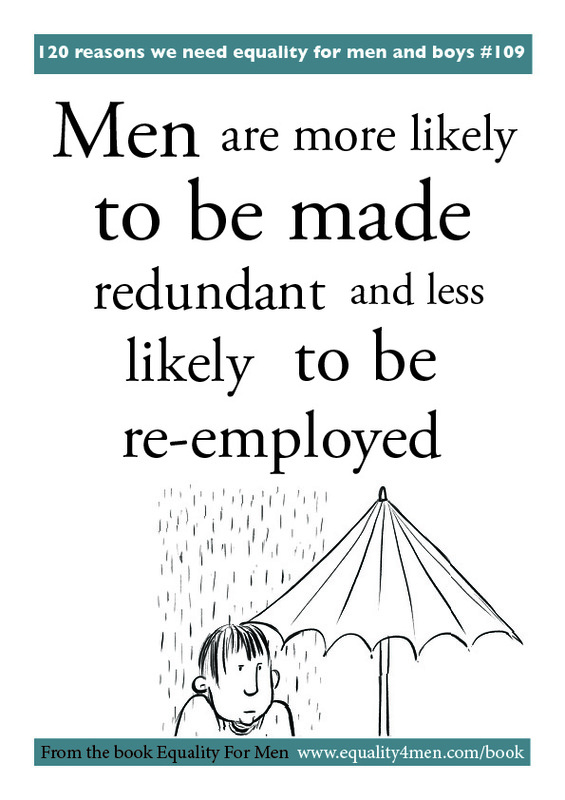 Men are more likely to be unemployed, more likely to be made redundant and less likely to be re-employed than women. Men are more likely to miss out on the benefits of parenting and family life. The expectation that men should be financial providers is reflected in the fact that disabled men and single dads with children are far more likely to be employed than their female counterparts. We seem to be collectively less supportive of men who fail to be economic providers for themselves and their families. As a result more men who fail economically end up homeless, in prison or killing themselves, with men accounting for 84% of suicides that were linked to the recession. For men who are employed, those with high job strain (i.e. lots of pressure but little power) are four times more likely to have a heart attack. Men also take less time off sick on average and spend fewer years in retirement than women. Young men entering the workforce are less education than young women on average, account or 60% of youth unemployment and 70% of long-term young unemployment and are paid less than women on average throughout their twenties. When they become parents, 59% of dads report experiencing a conflict between work like and family and life. Men who don’t take on a role of economic provider because of their caring responsibilities— for example, being a full-time dad or caring for a partner or other family member—face very different challenges to female carers that are rarely acknowledged or understood. Men’s experiences as workers and carers are often different to women’s experiences and require special consideration when developing public policy. We invite all political parties to consider what action they take to address the distinct challenges that men and boys face as workers and carers. This entry was posted on November 18, 2013 by equality4menuk in #GiveMenChoices, #MakeWorkSafe4Men, #SupportMaleWorkers, 12 Manifesto Challenges and tagged male carers, men and work, work place deaths.